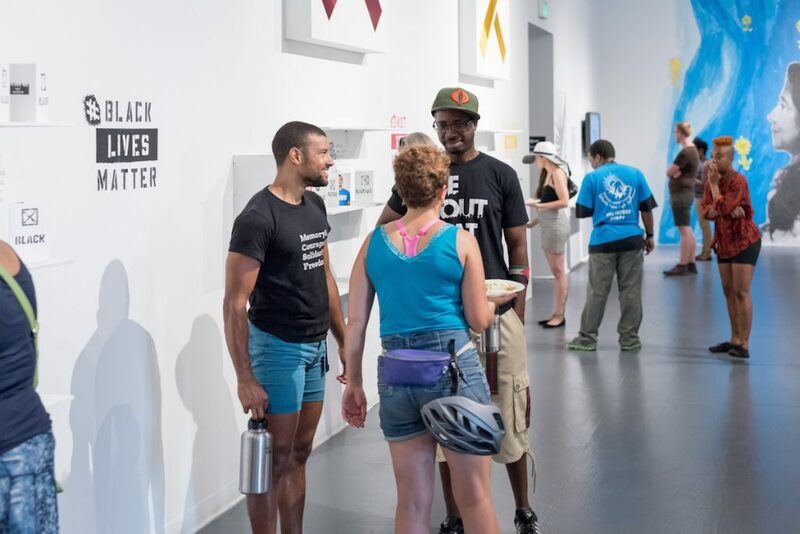 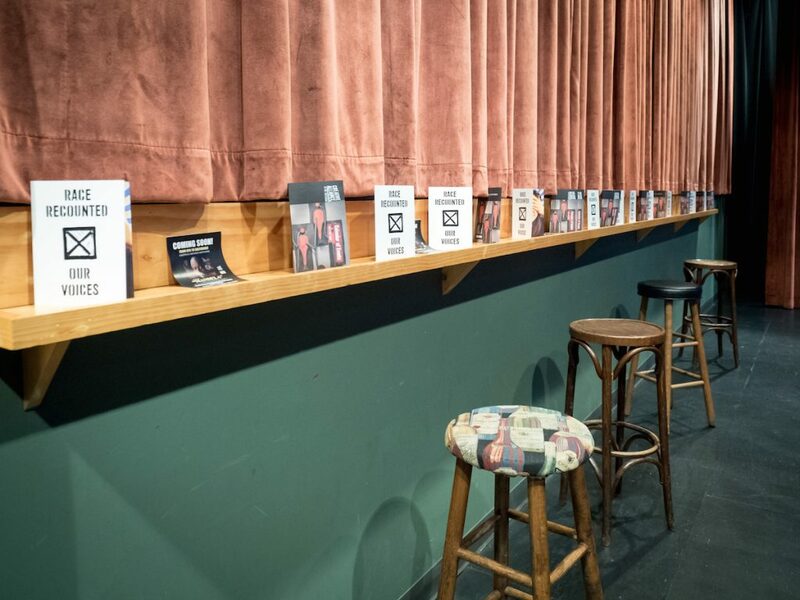 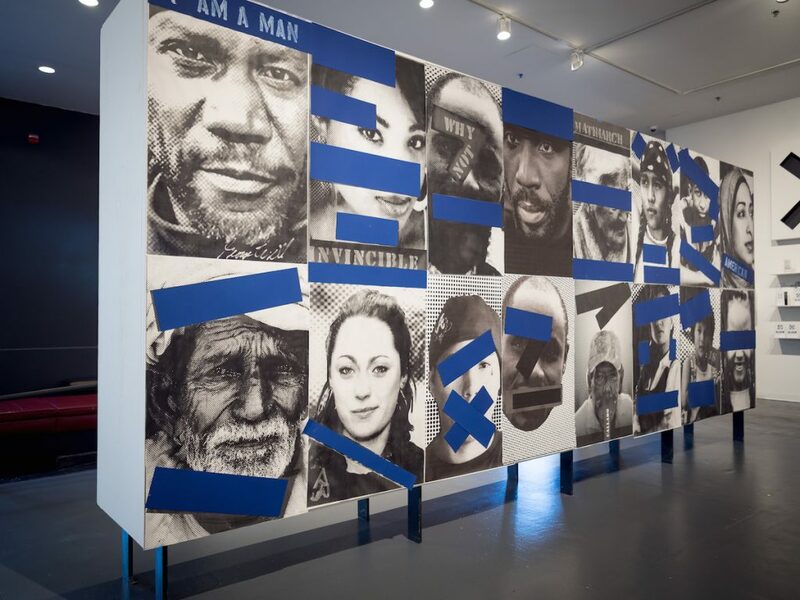 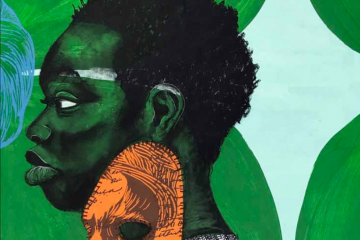 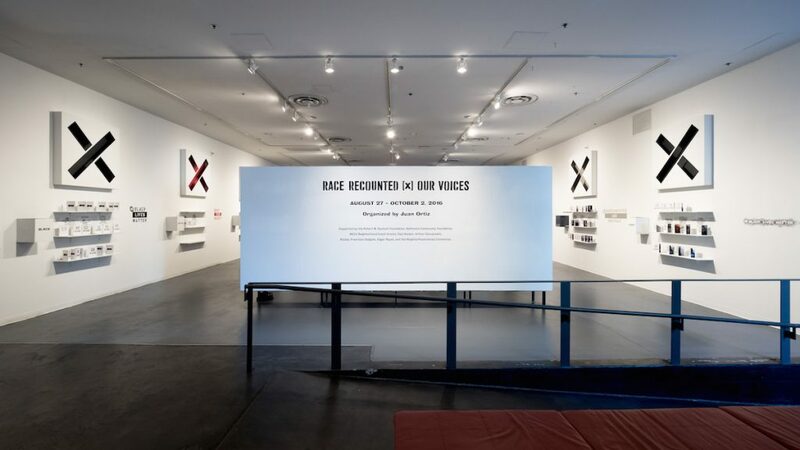 Race Recounted is a celebration of our stories, our artwork, our collectivity, and our mission to confront many Americans’ automatic response to racial inequality: to remain silent. 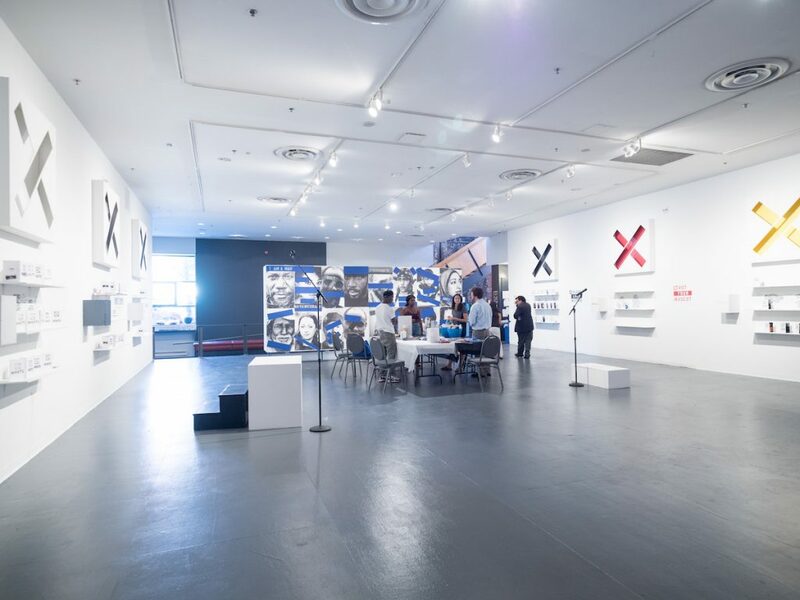 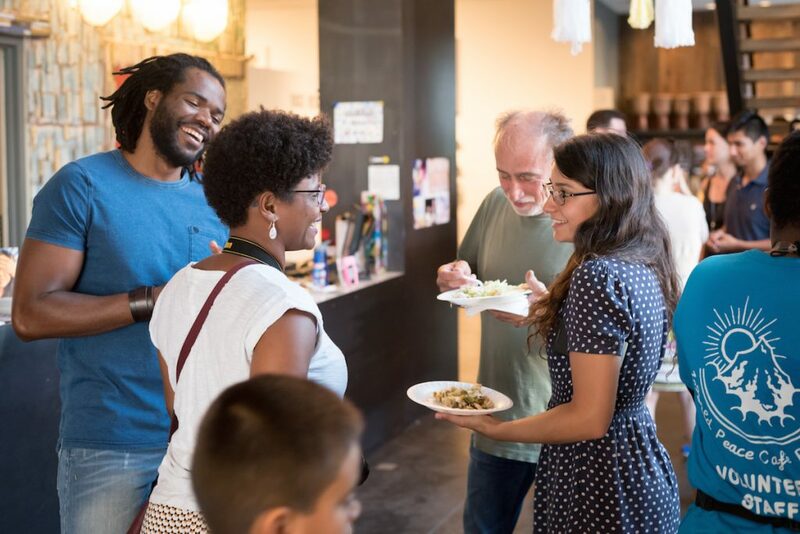 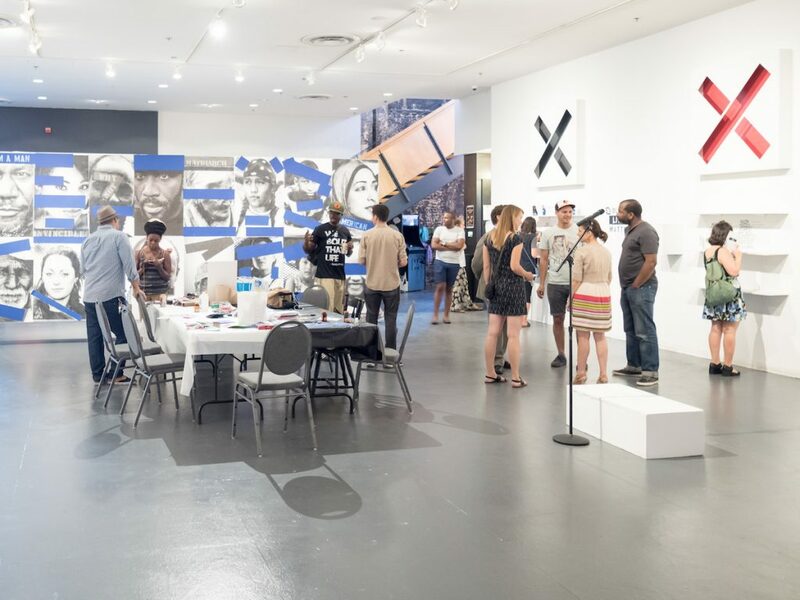 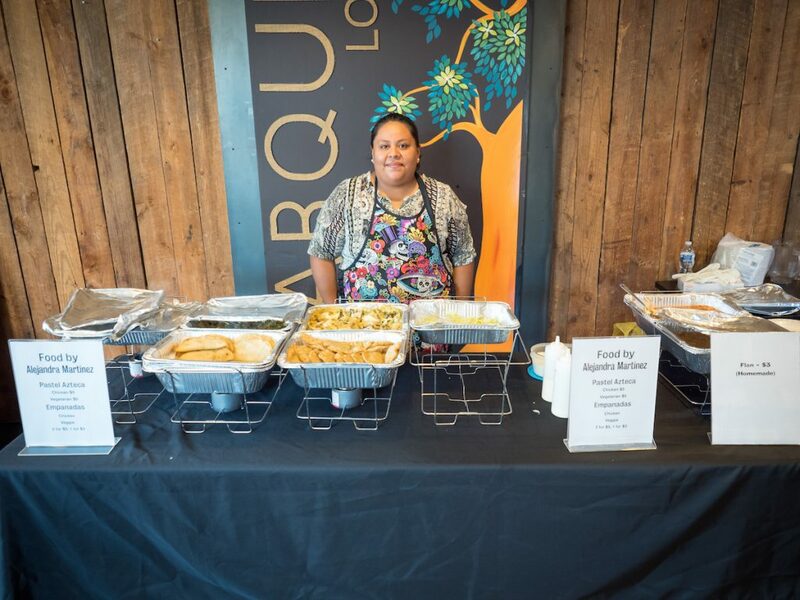 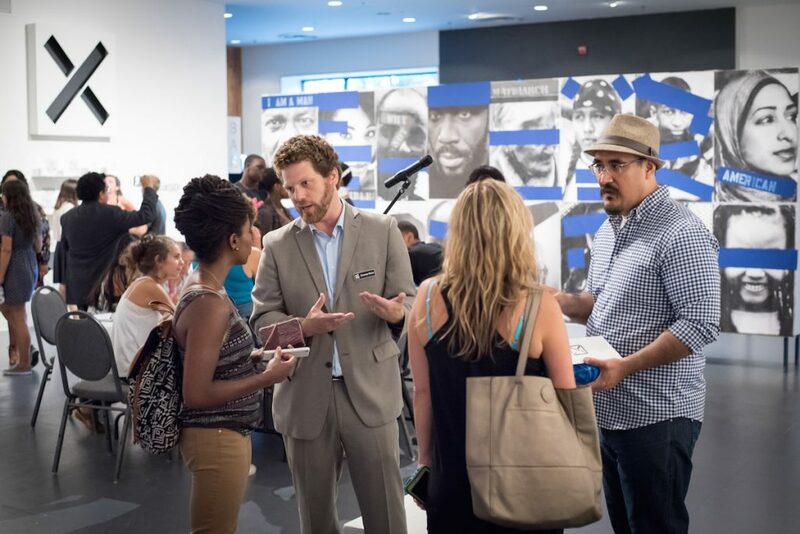 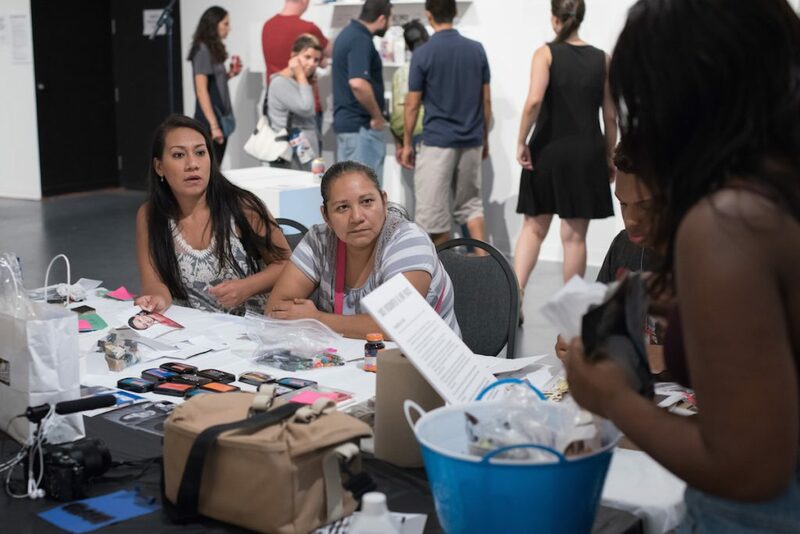 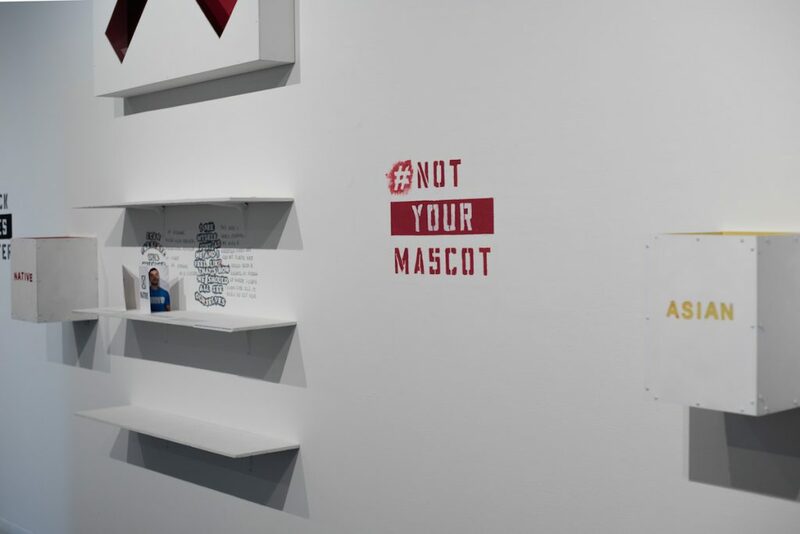 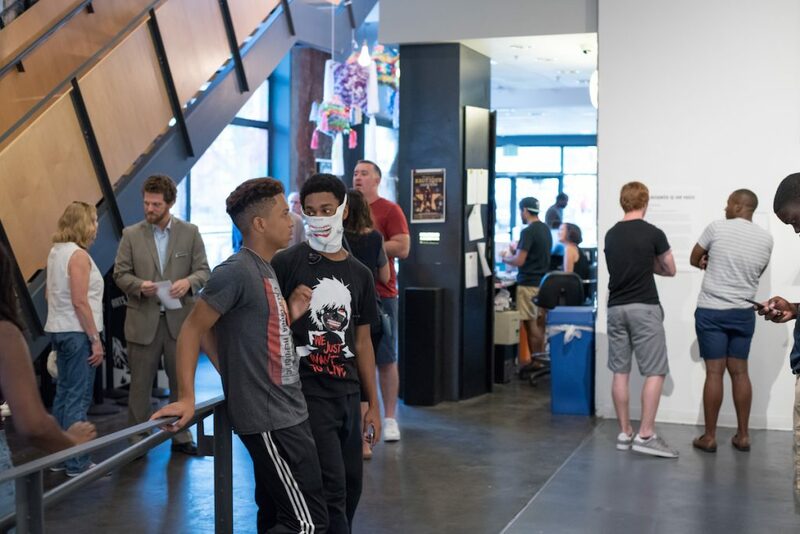 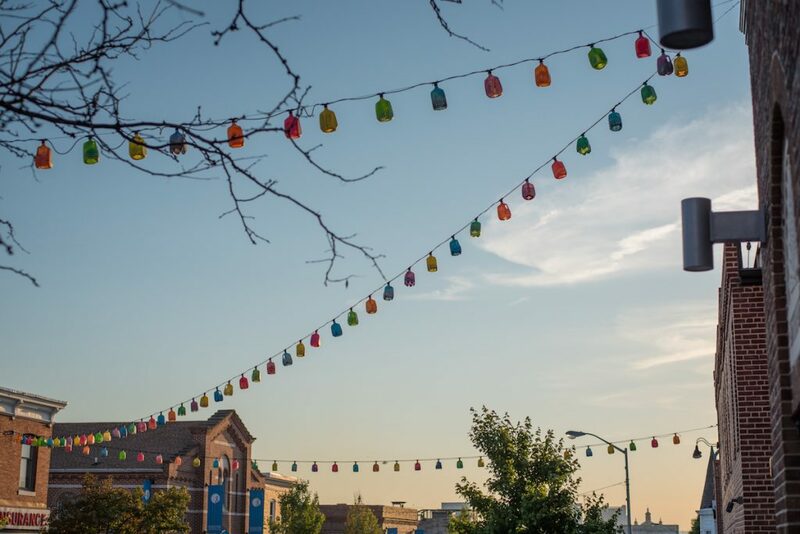 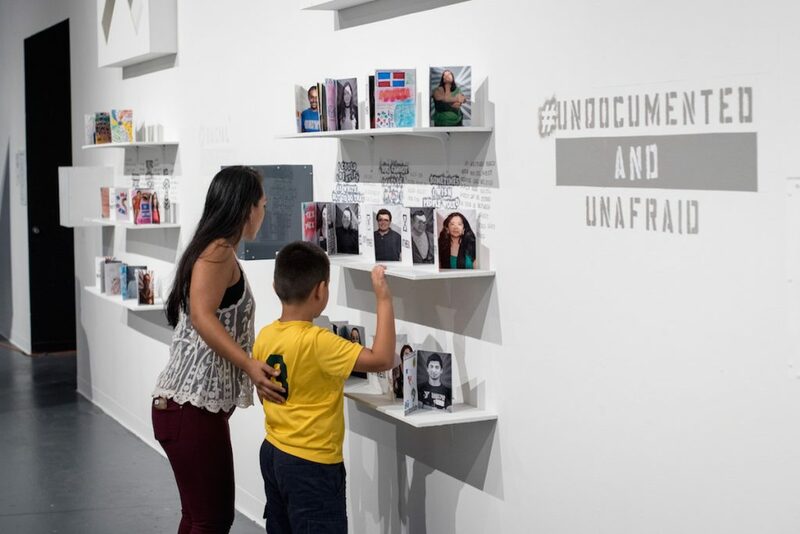 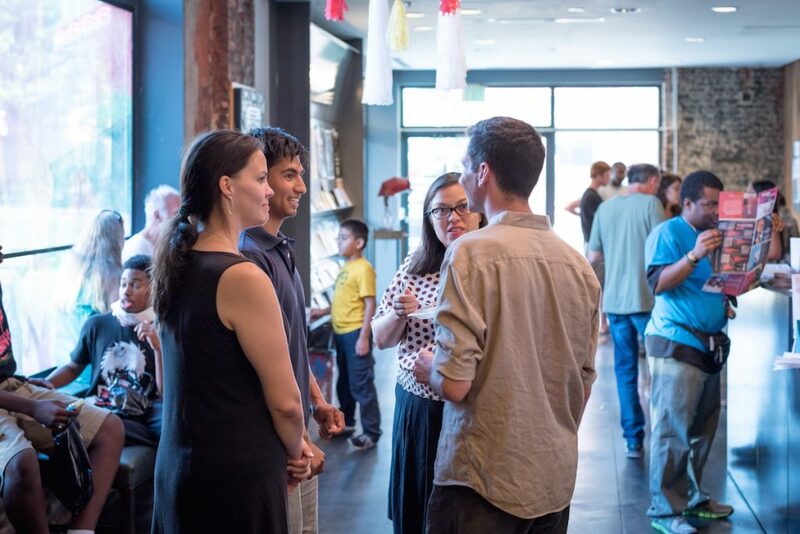 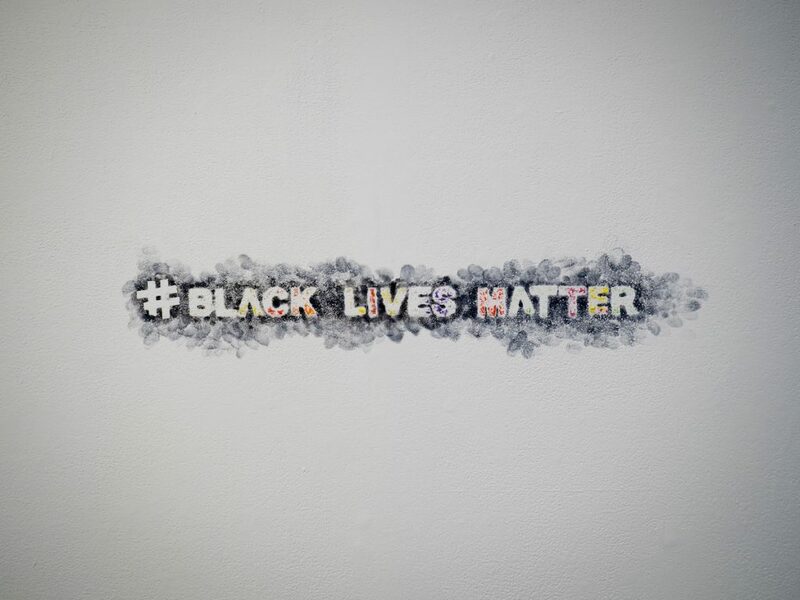 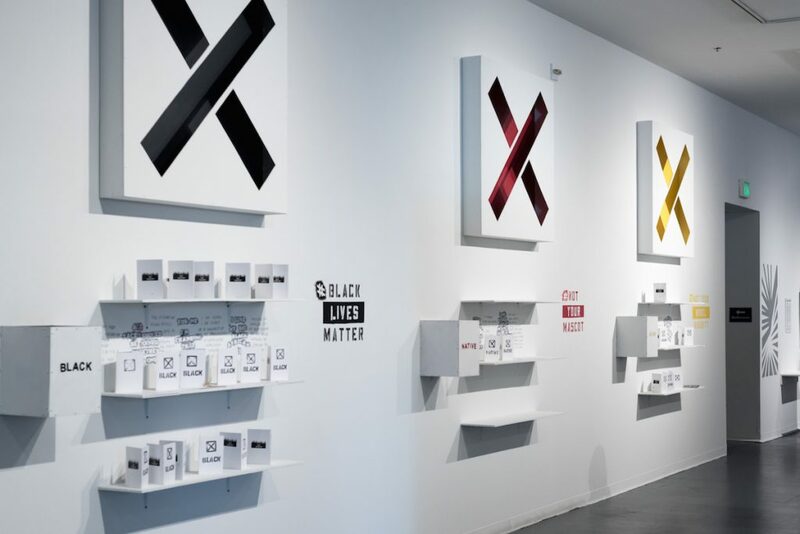 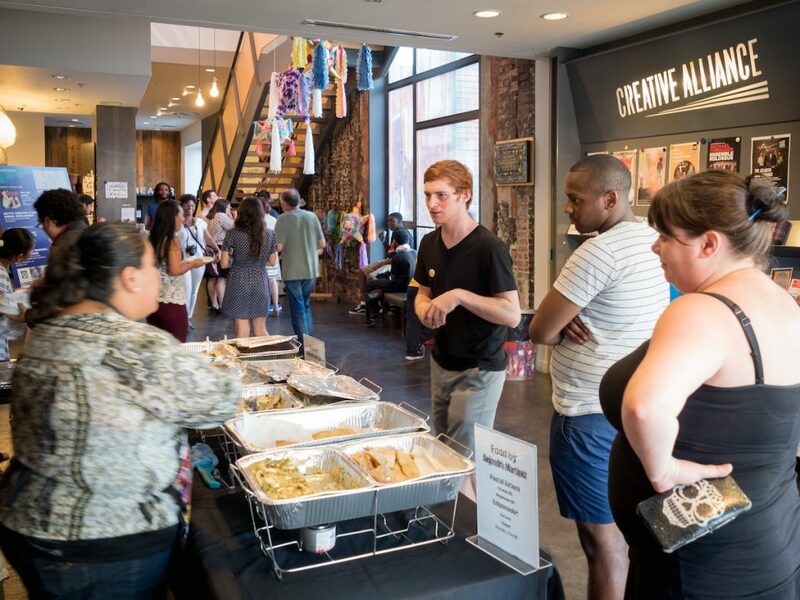 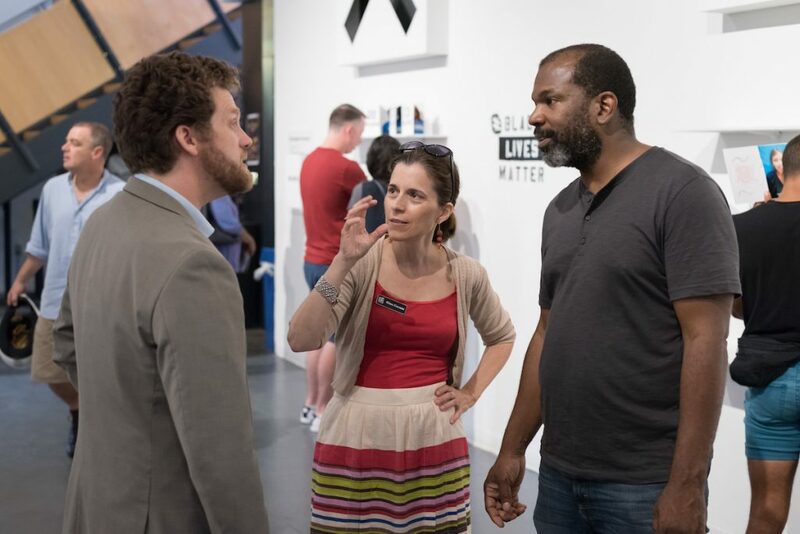 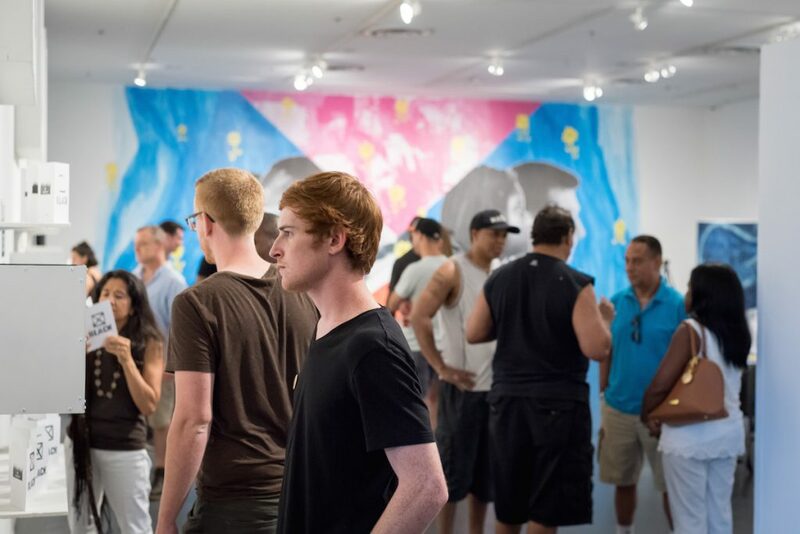 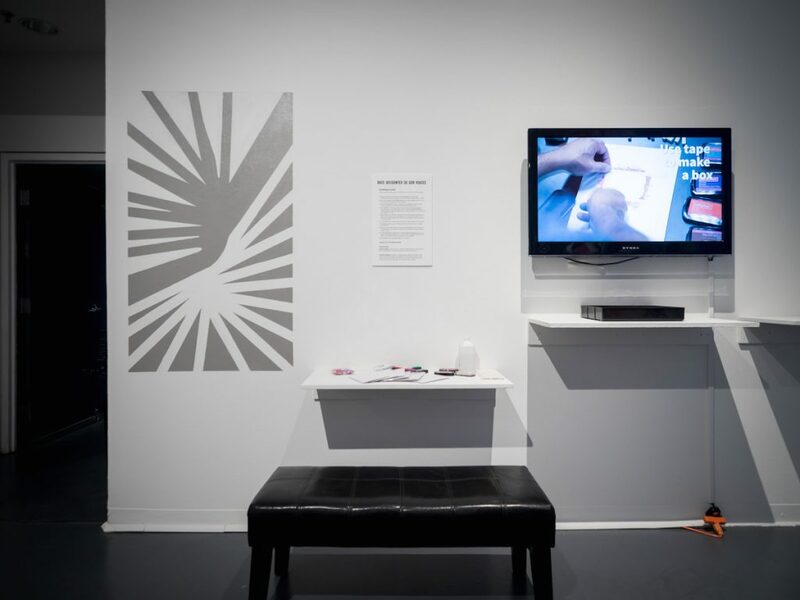 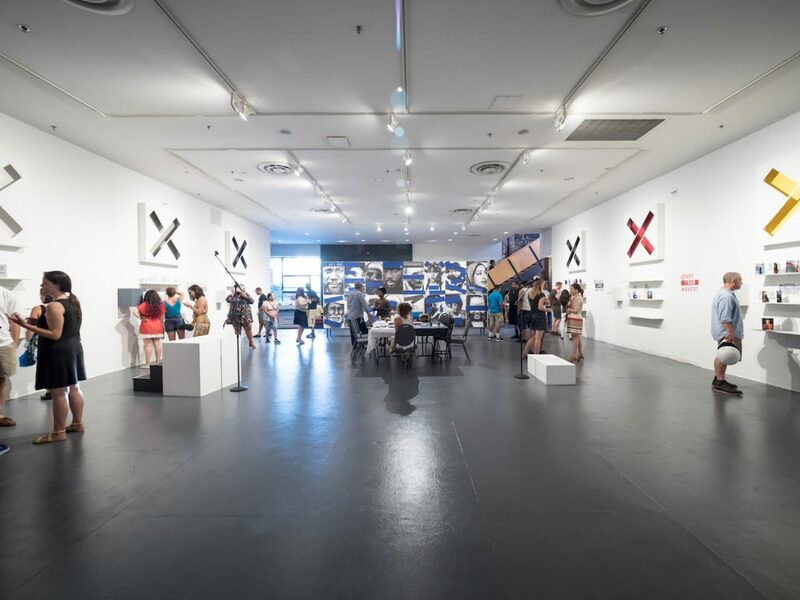 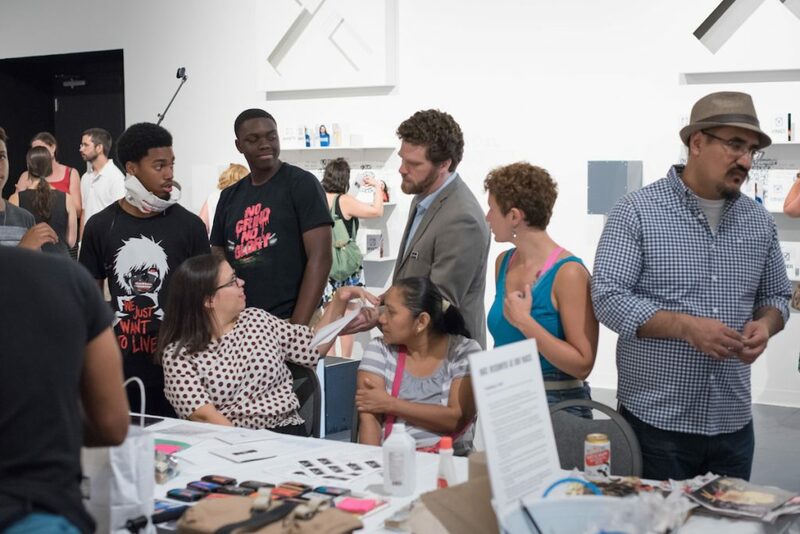 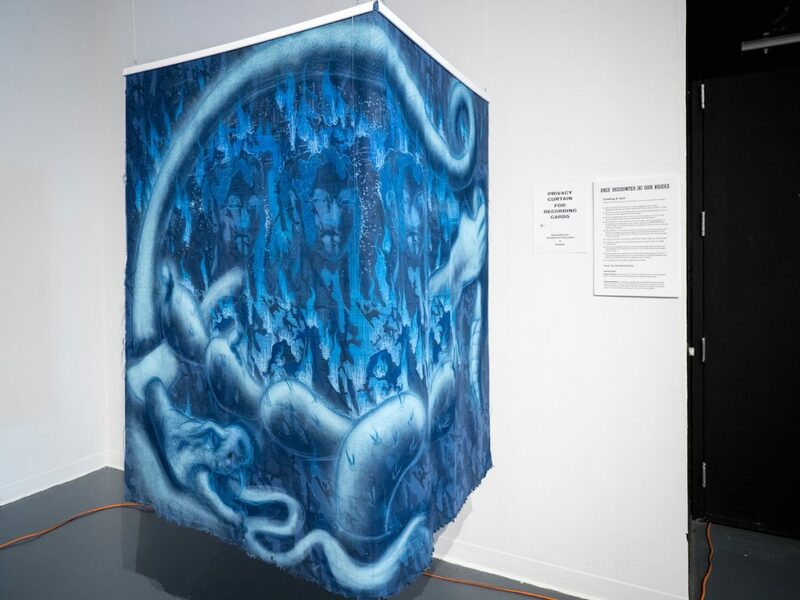 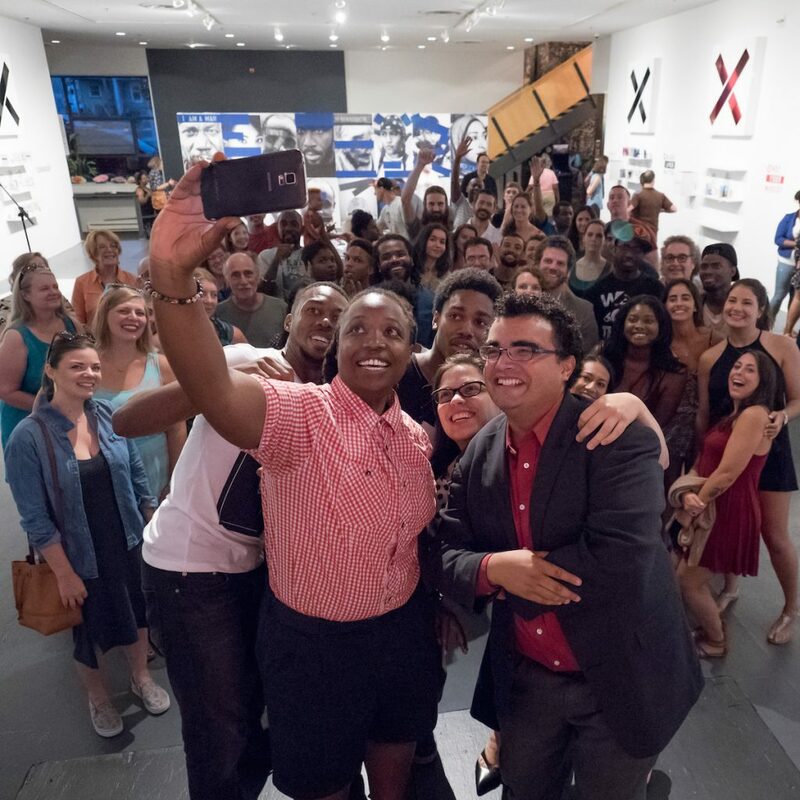 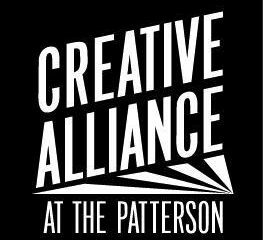 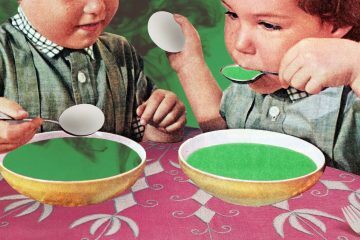 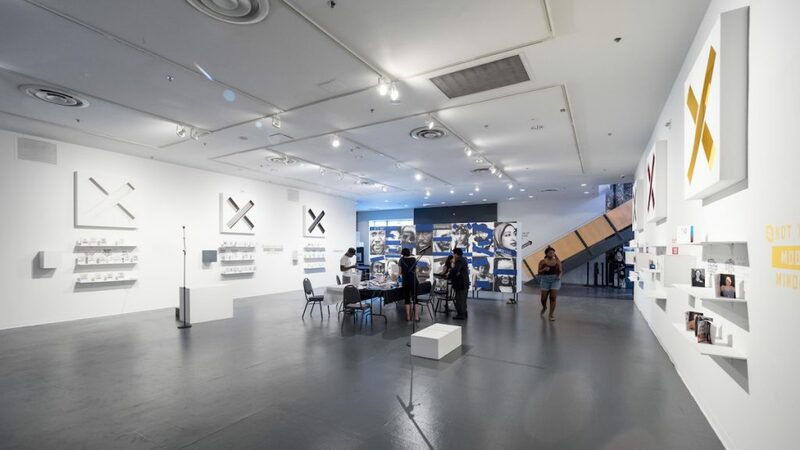 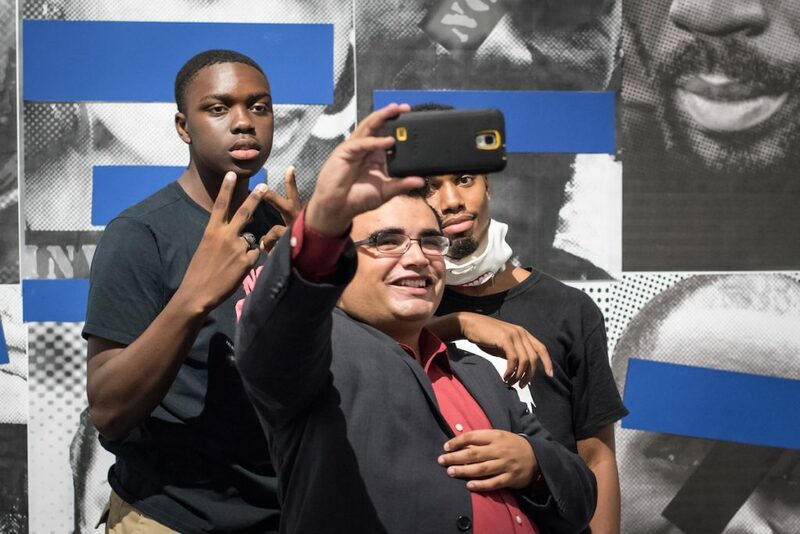 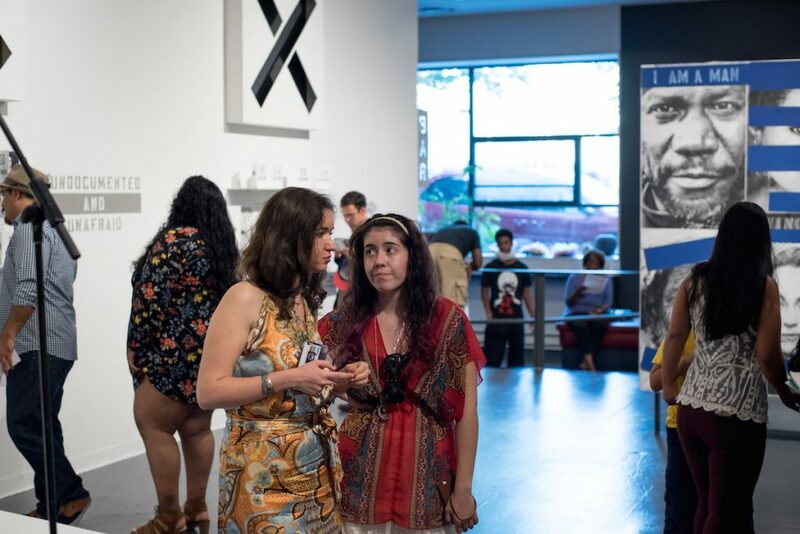 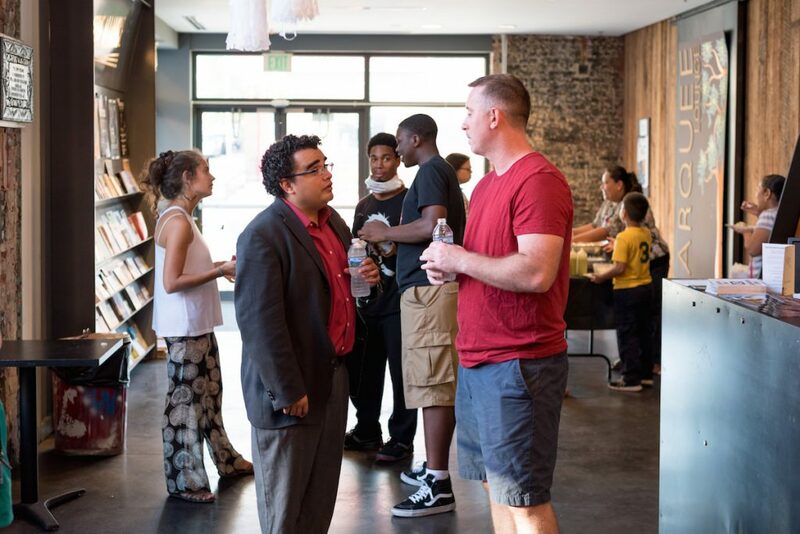 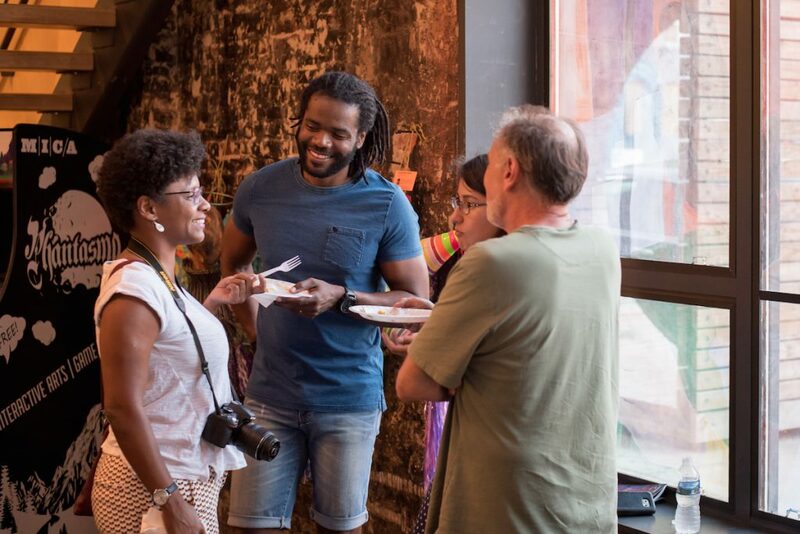 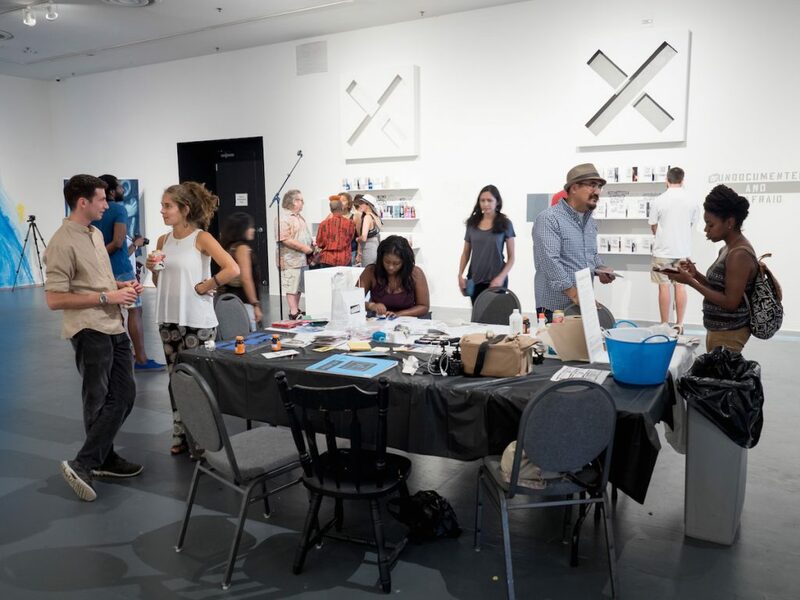 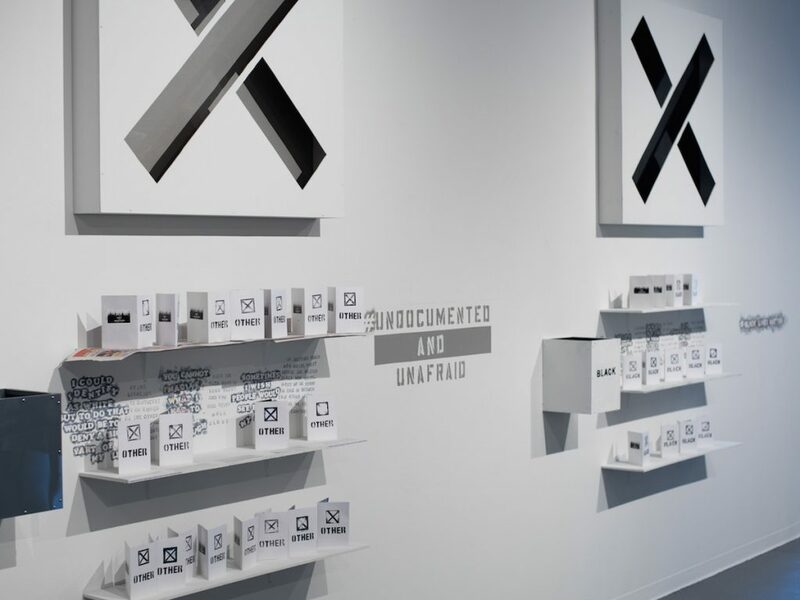 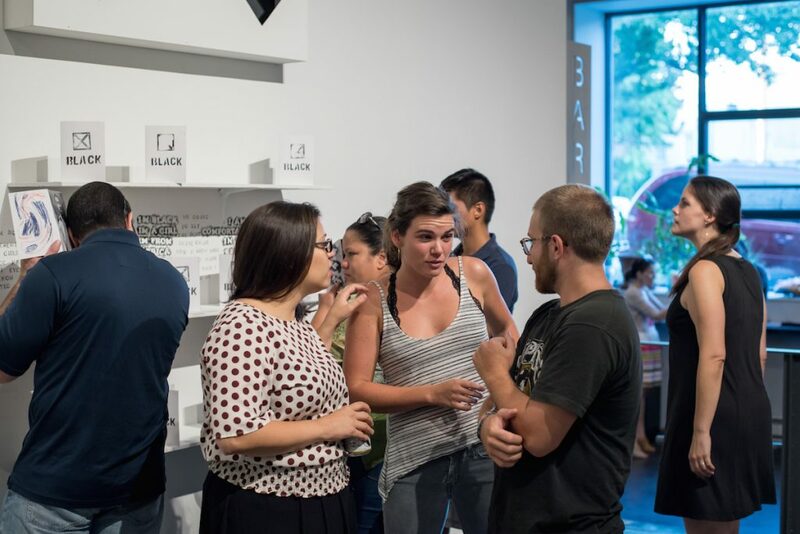 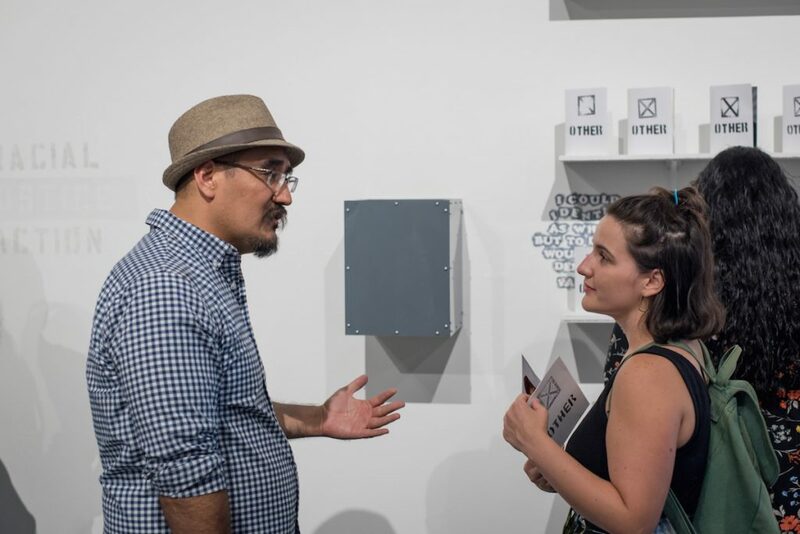 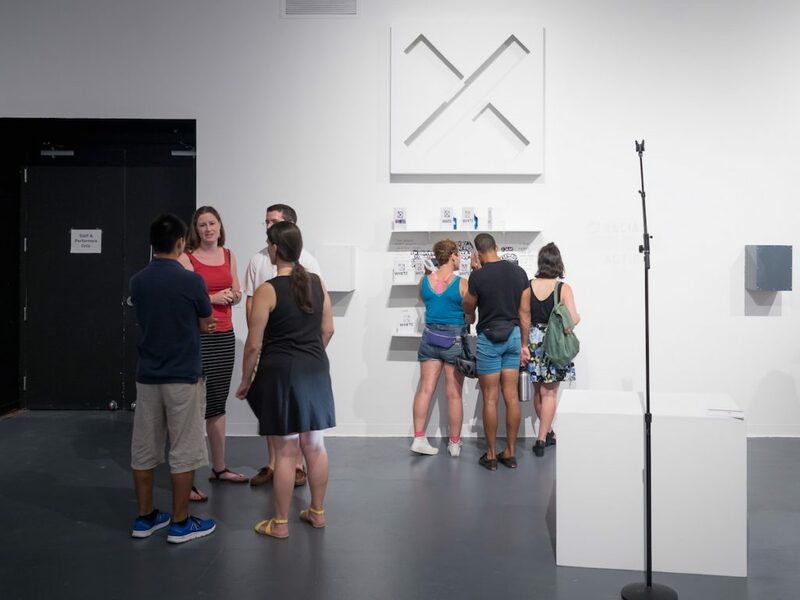 Juan Ortiz, Creative Alliance’s Robert W. Deutsch Fellow, has curated an exhibition that depends on community participation. 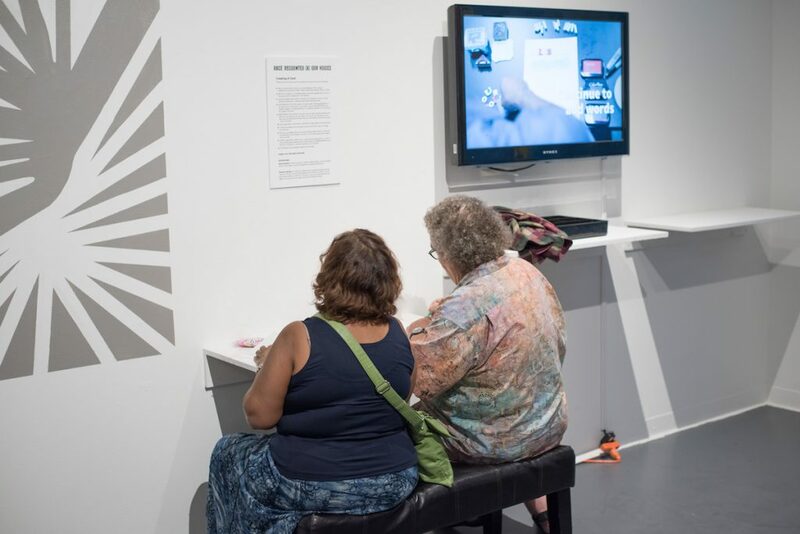 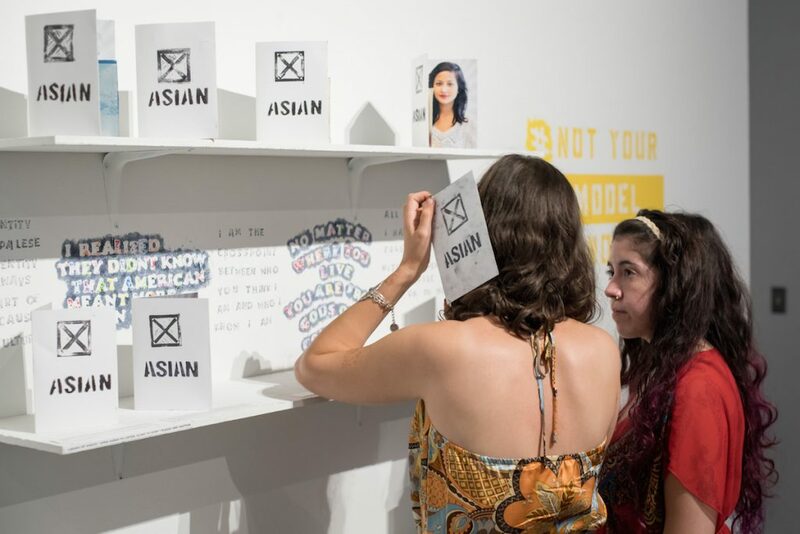 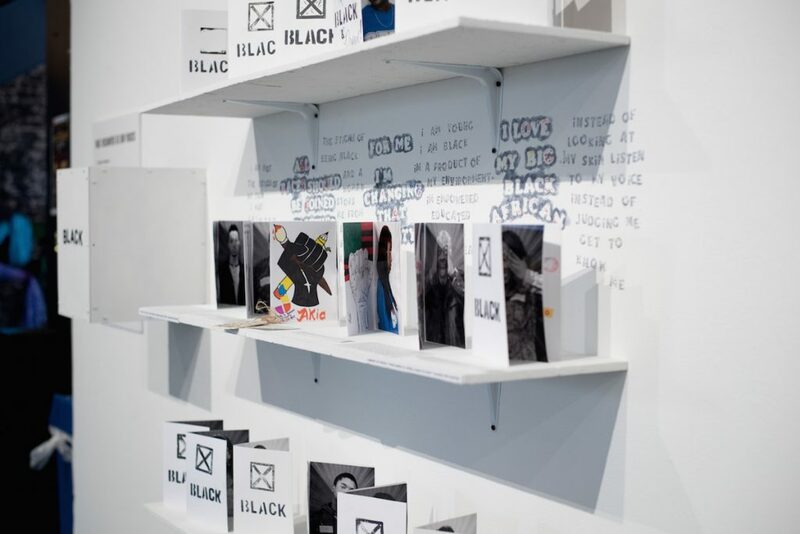 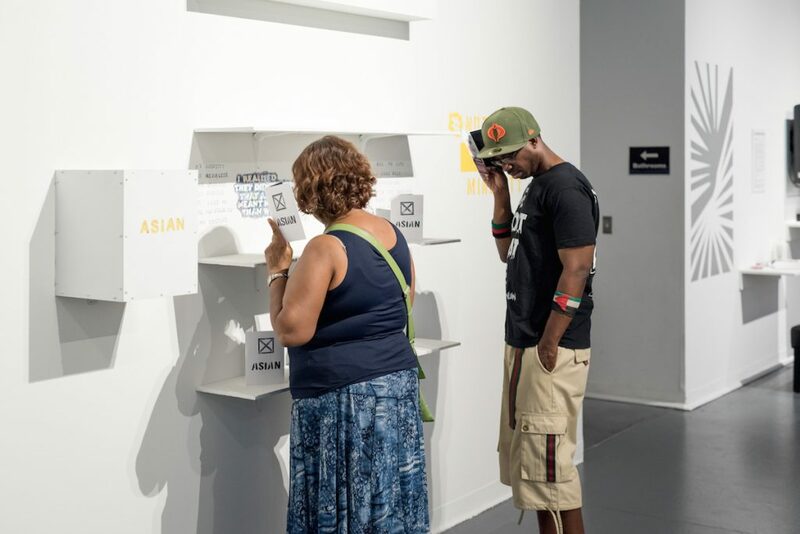 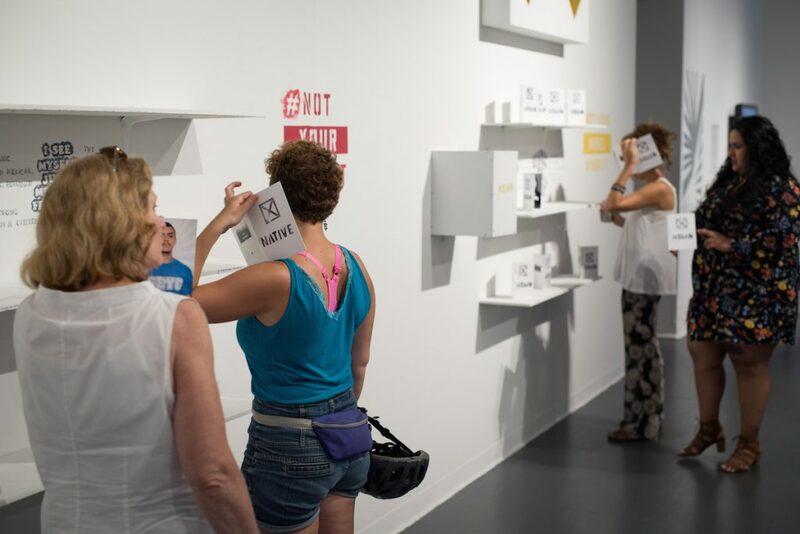 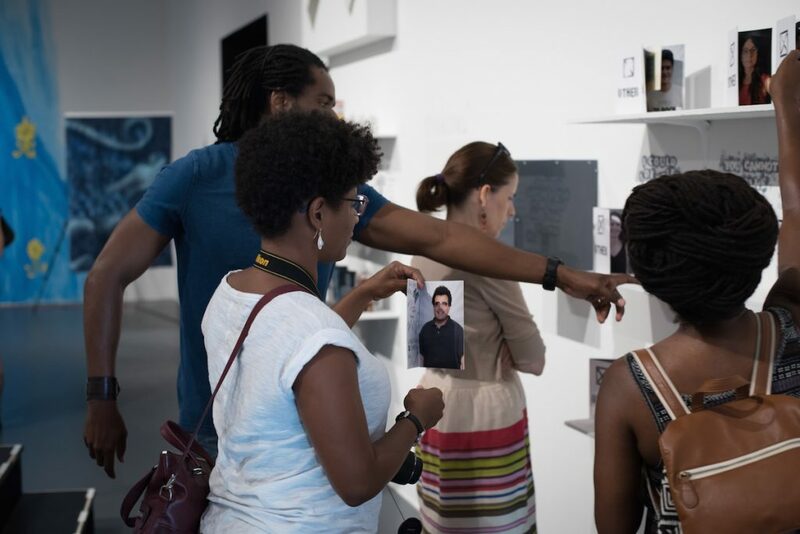 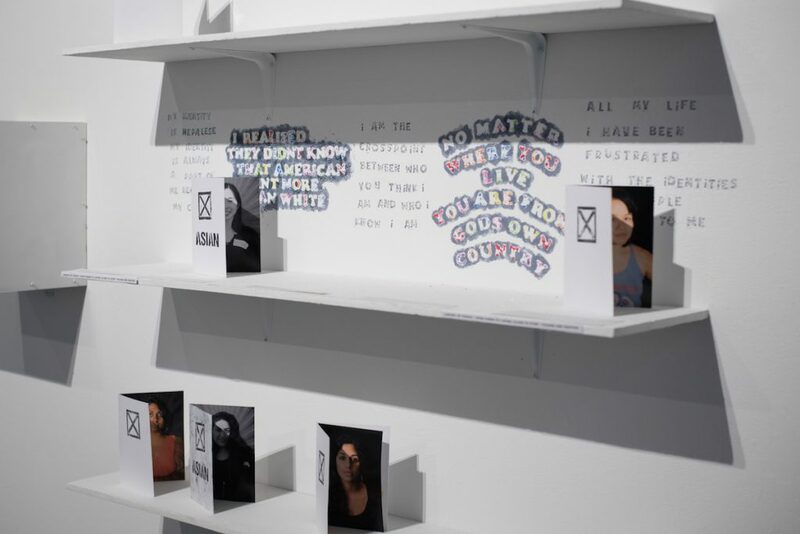 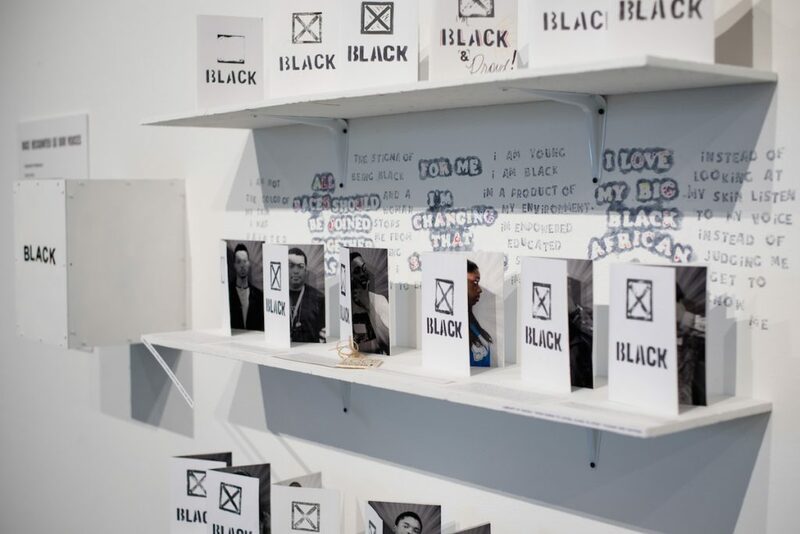 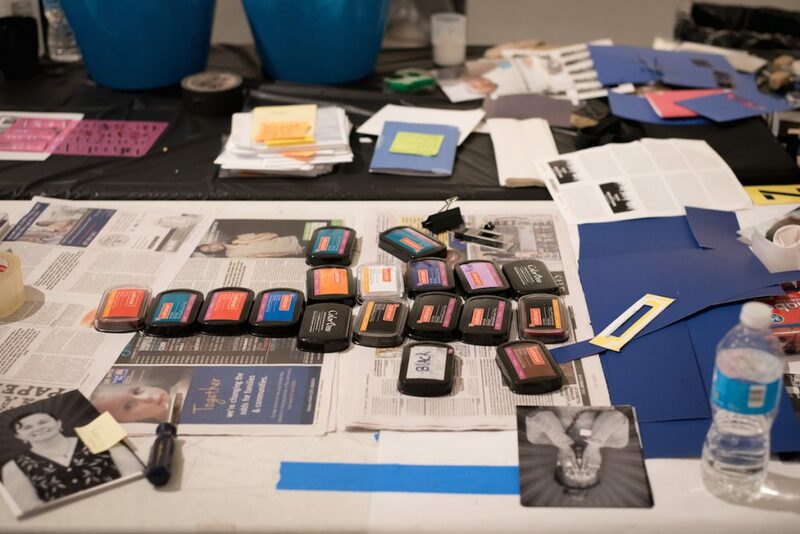 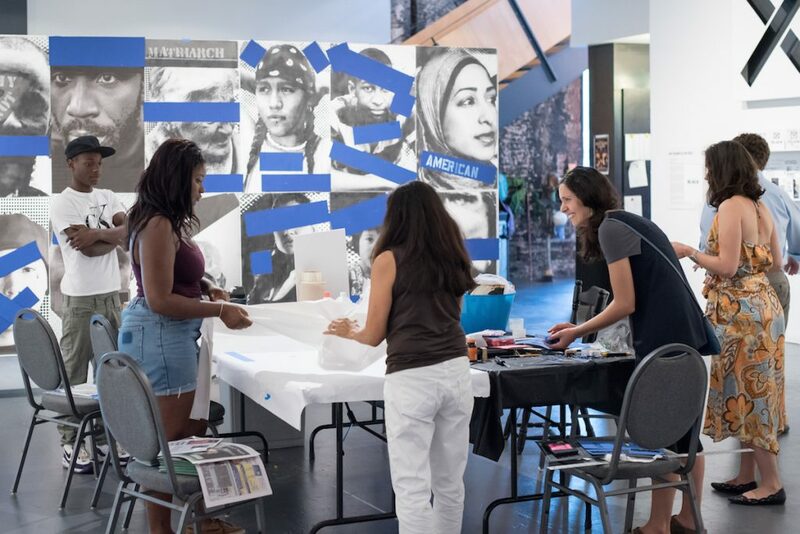 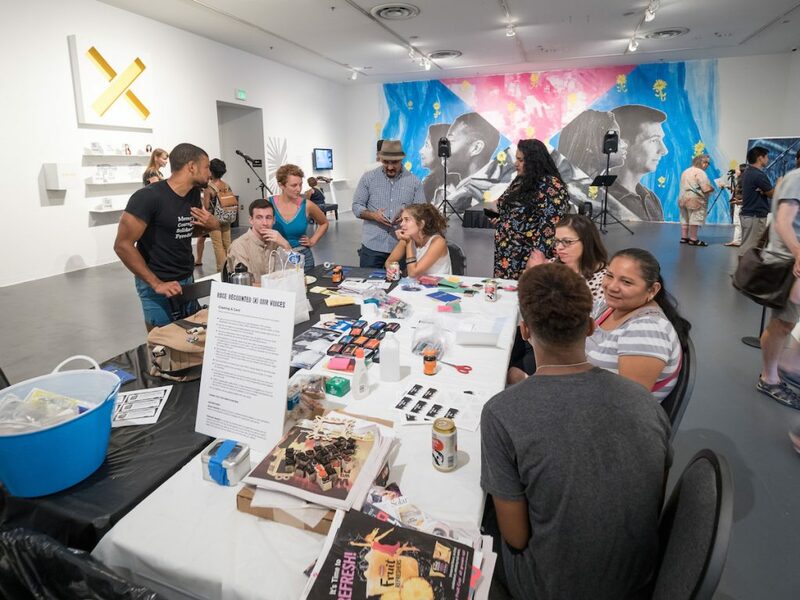 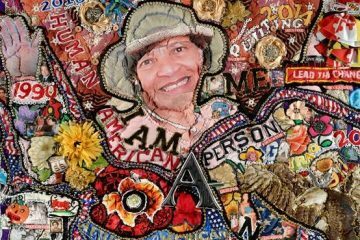 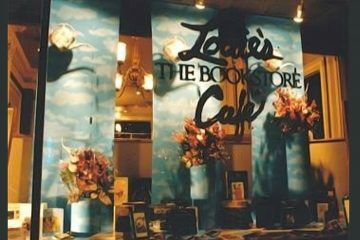 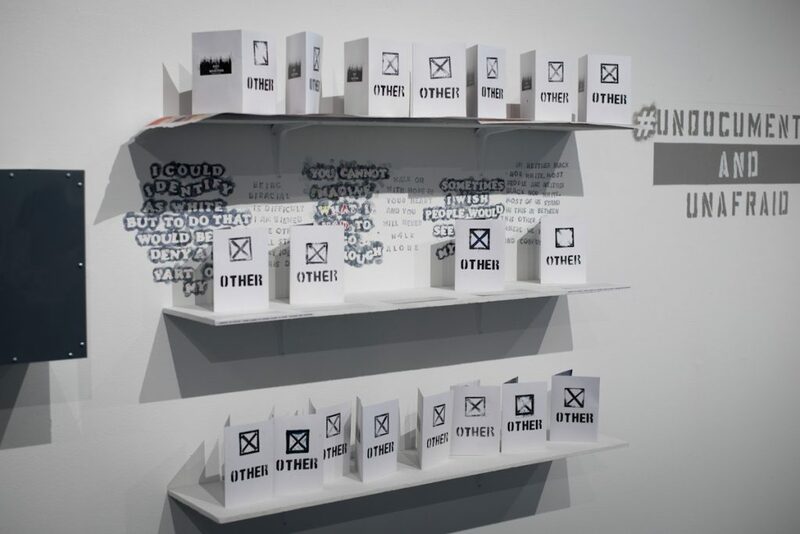 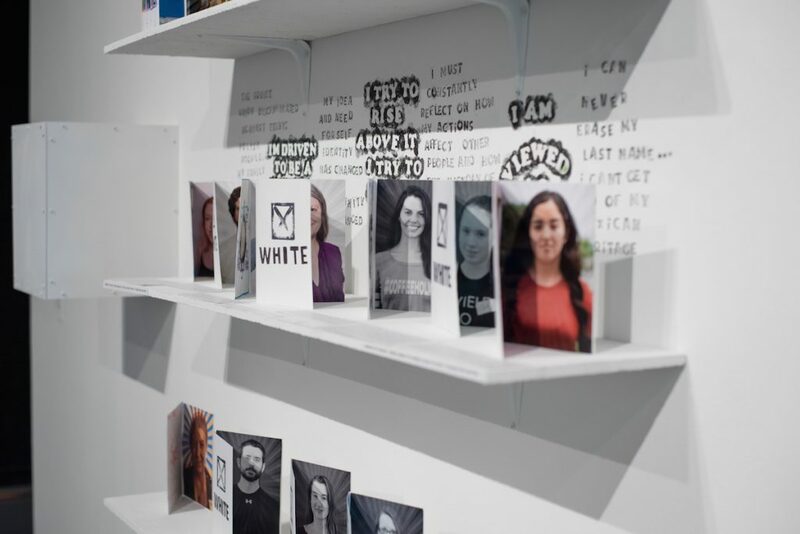 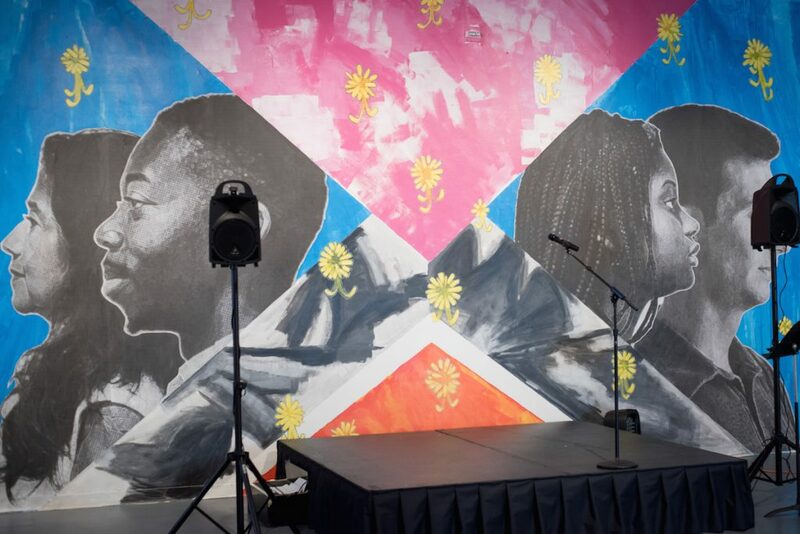 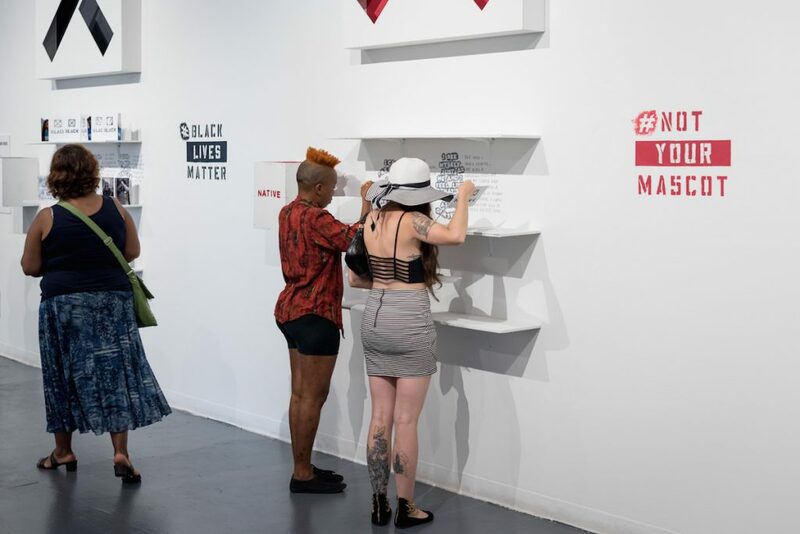 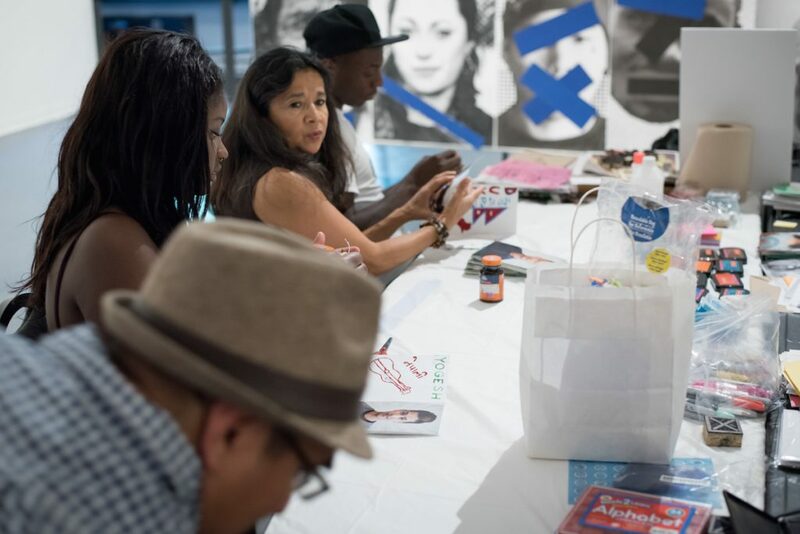 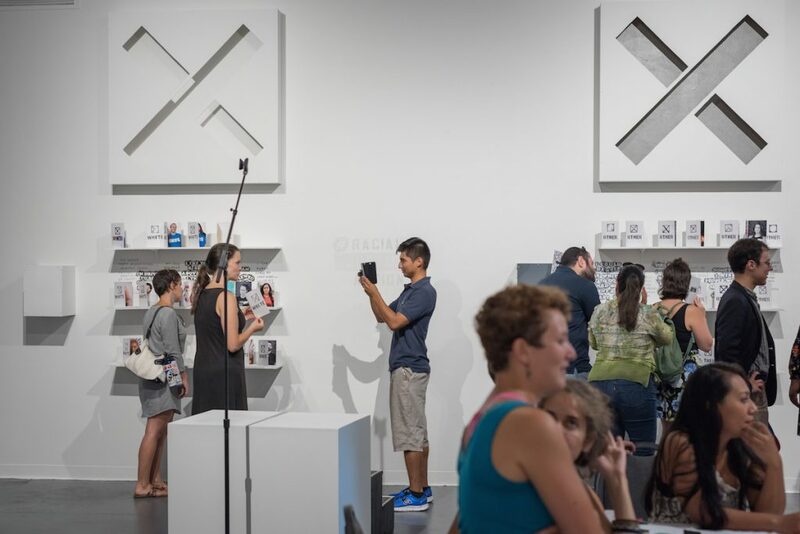 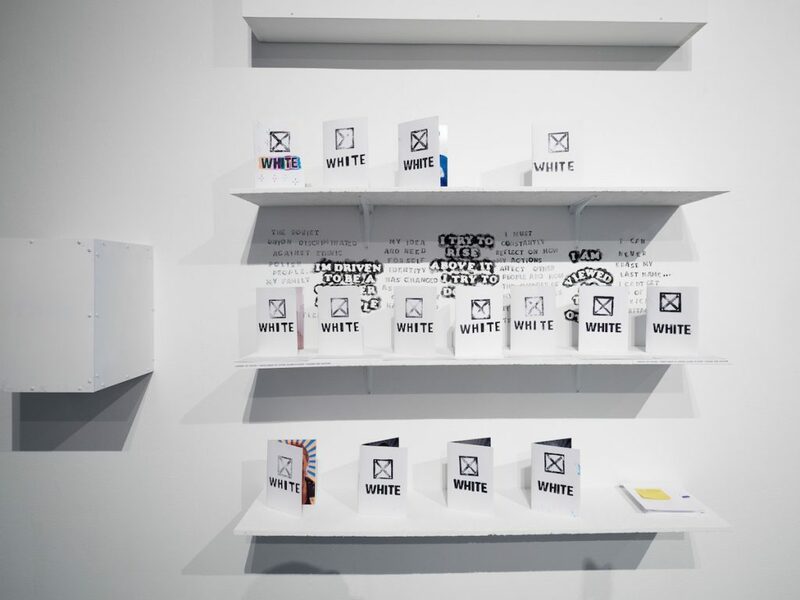 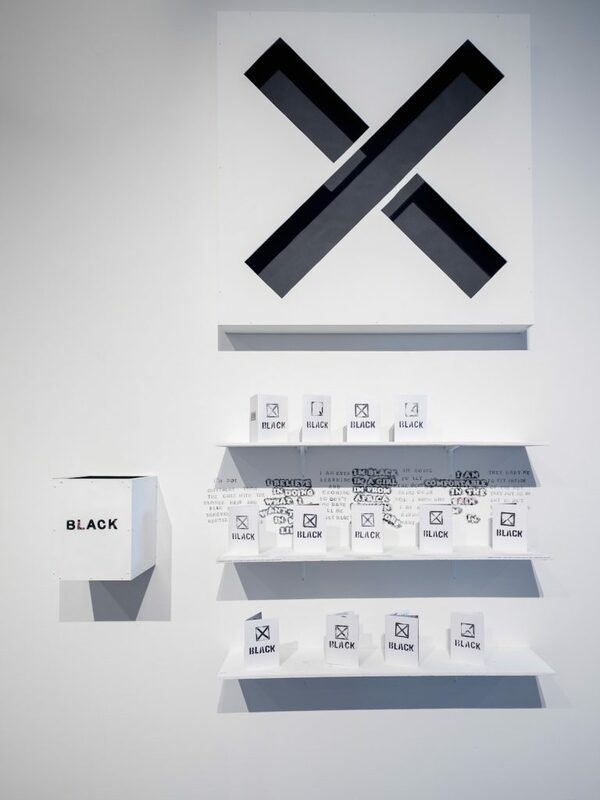 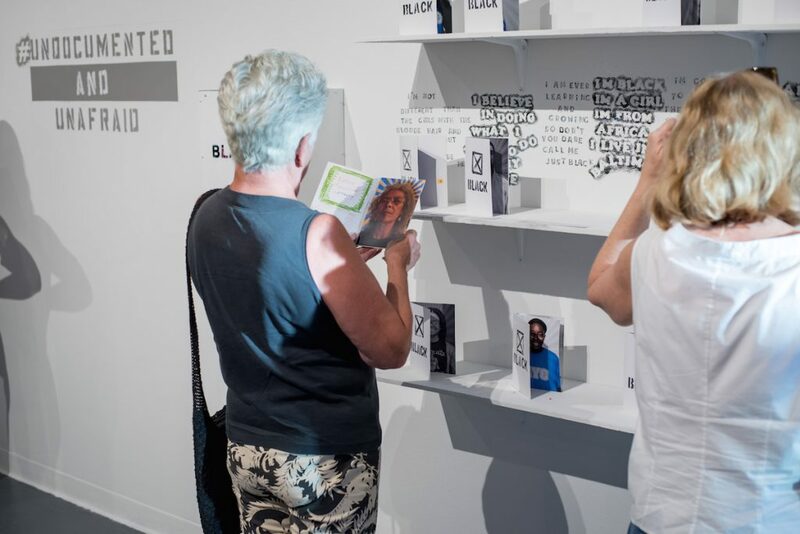 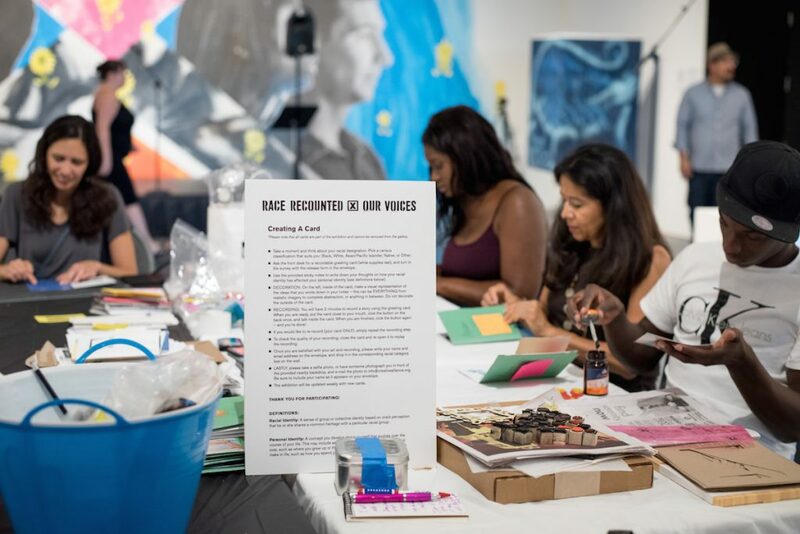 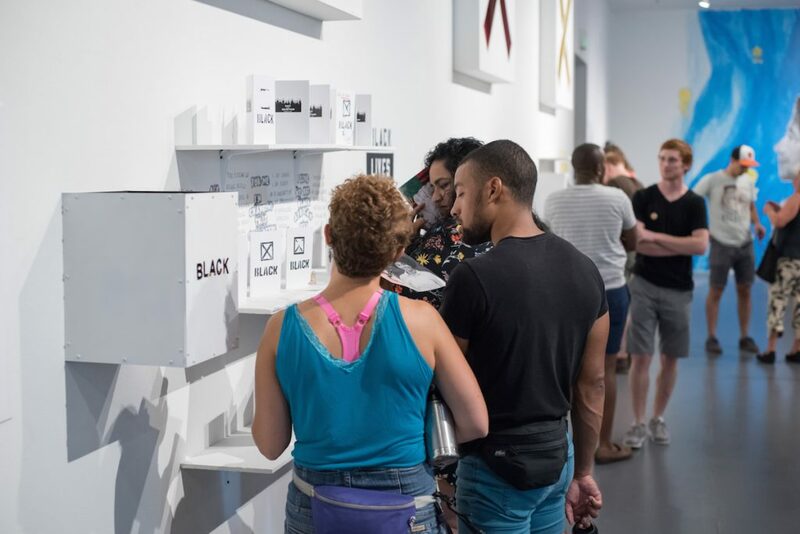 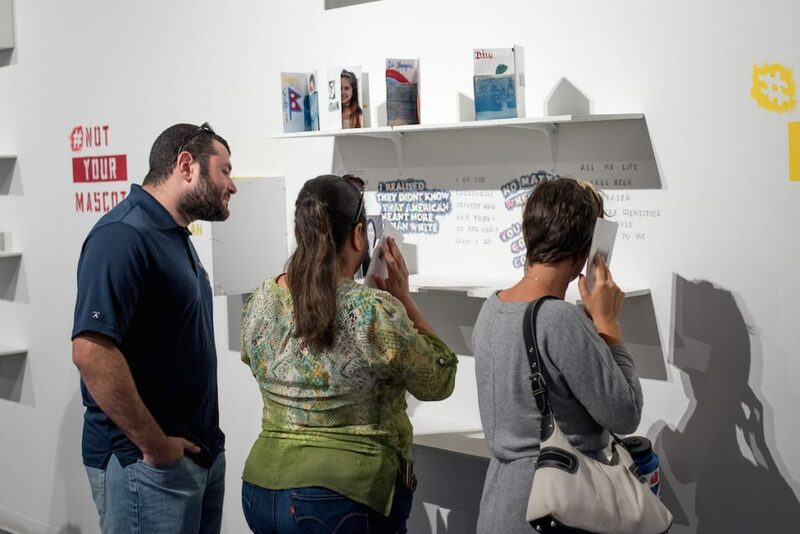 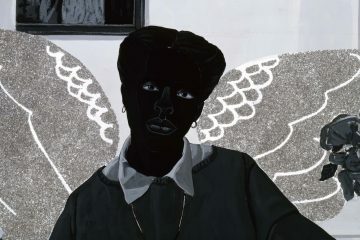 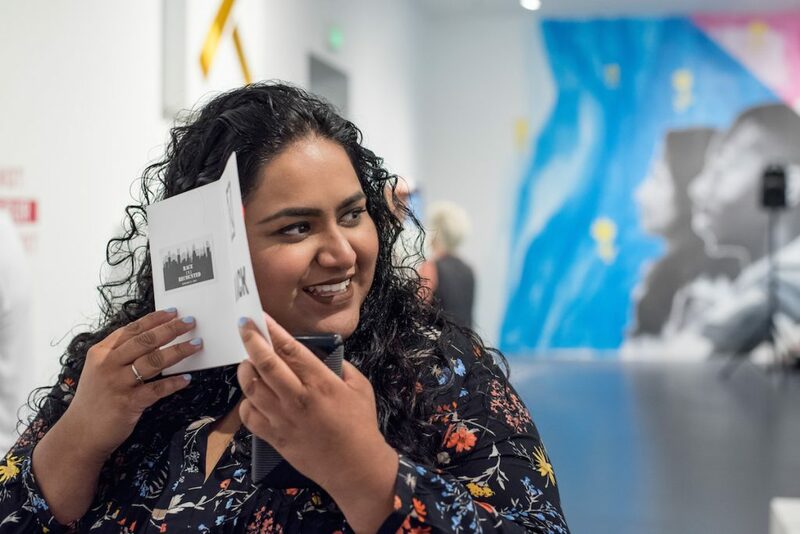 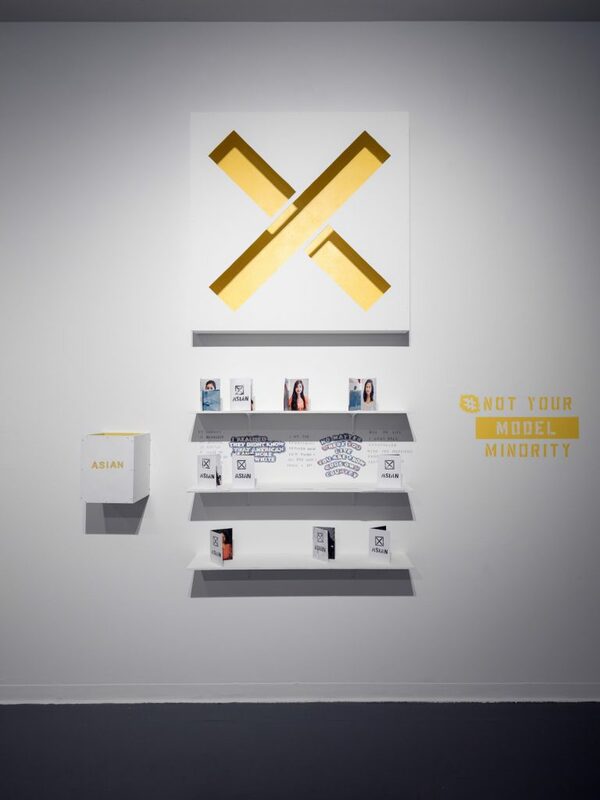 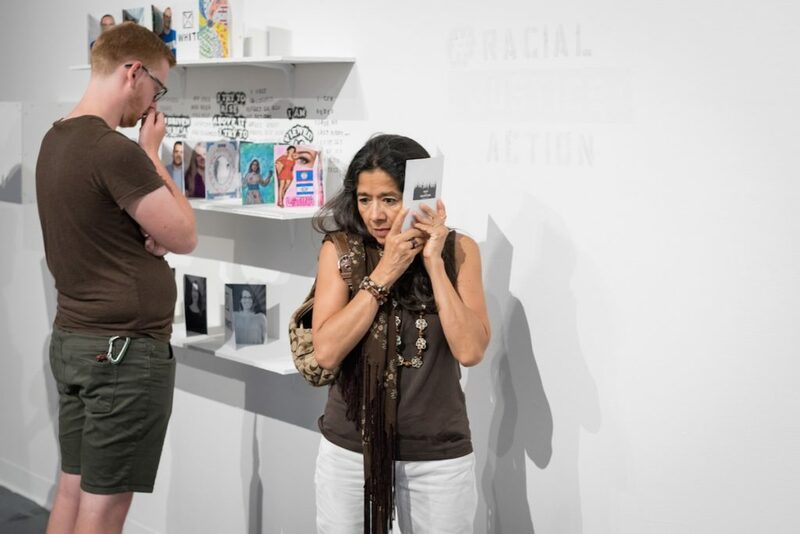 Race Recounted asks visitors to participate in the creation of artwork that tells the story of their own racialized identity through audio/visual portraits in a recordable greeting card. 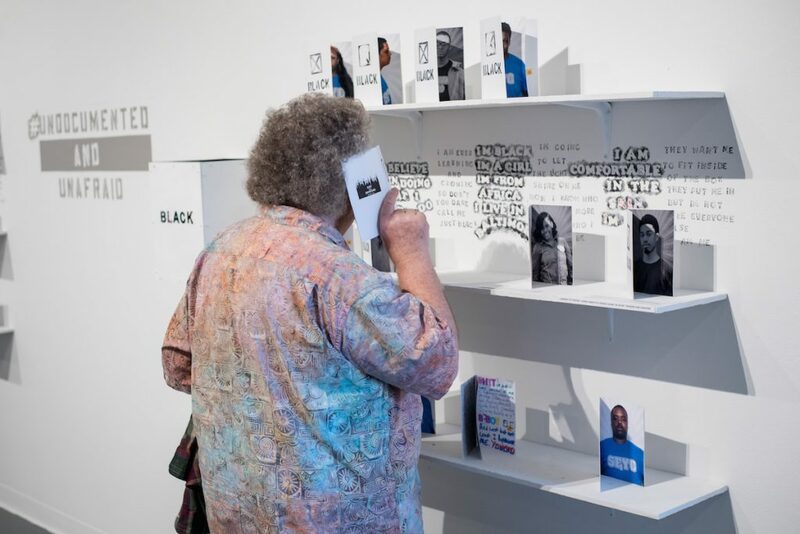 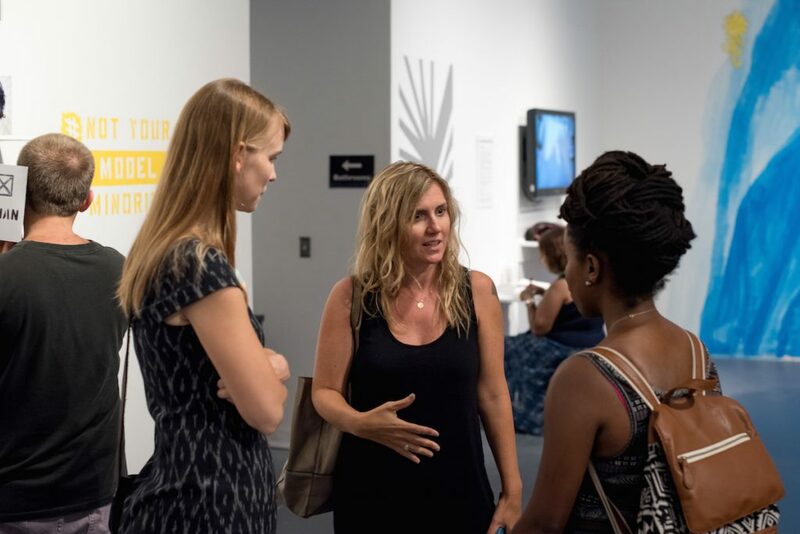 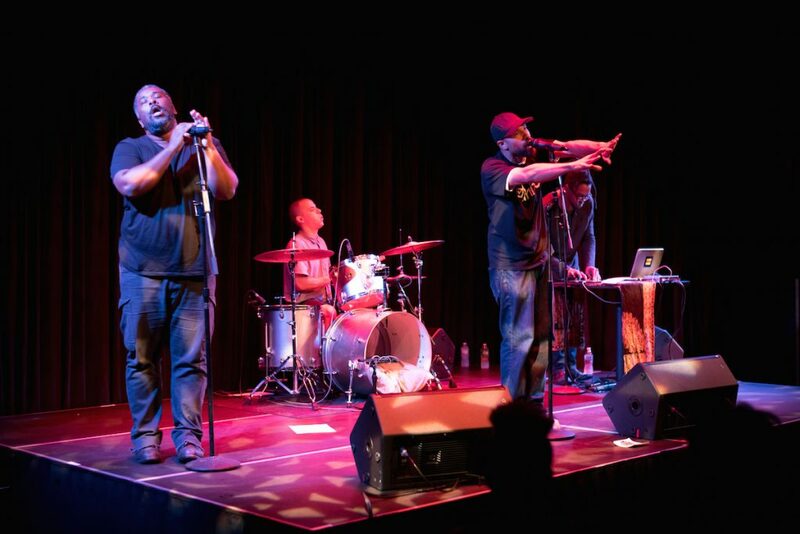 The resulting library of voices will be on display in the gallery through October 2. 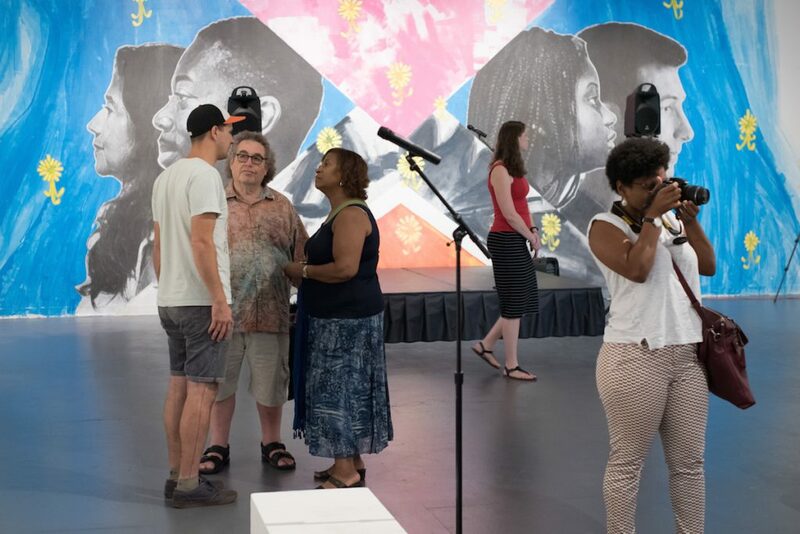 The exhibition opening on August 27th featured live story telling from Neighborhood Voices committee members, theatrical performances, and a free show from The Cornel West Theory, a group from Washington, DC who are inspired by social justice struggles, Hip Hop, and the center of world politics. 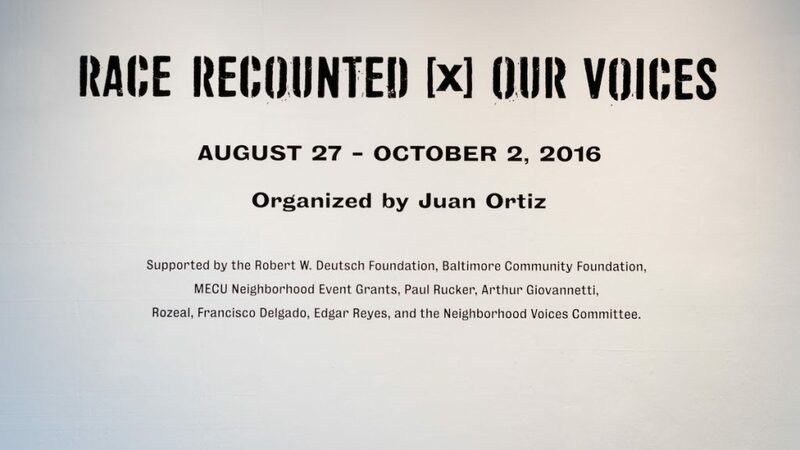 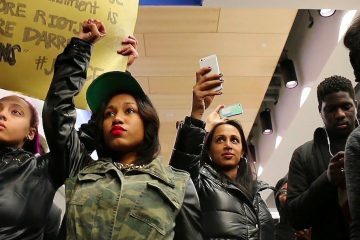 You can join in this Sunday, October 2 from 2-4 pm for the last Activist Speaker Series & Race Recounted Roundtable.